Universal Music have been releasing a steady flow of classic albums in a "Deluxe edition". The latest offering is The Allman Brother's 1973 album, 'Brothers and sisters'. As is normal with a deluxe edition, it's a 2 CD release. The first disc is a remastered version of the original album, while the second disc contains a load of bonus material. There's also an excellent booklet with the story of the background to the album and the making of it - it's well worth reading and is very interesting. The album was the first one recorded by the band after the death of Duane Allman, and saw a change in their musical style as they chose not to replace him on guitar and continued with a single guitarist. This meant that the dual-guitar sound went, but they brought in a piano player which added a different element to the sound. The album was their first to reach the UK album charts, managing 3 weeks in the chart and reaching number 42. The album keeps the band's familiar blend of rock, country and blues, even if the twin-guitar sound is no longer there. One track will be instantly familiar to millions of TV viewers around the world, even if they've never knowingly listened to The Allman Brothers. 'Jessica' is an instrumental that is used as the theme music for the motoring show Top Gear. It's a great album - the country and blues mixed in with the rock makes it a really interesting sound - rock with added touches that make it very enjoyable to listen to - and I've been listening to it a lot in the last couple of days. It's clearly a classic album, and that alone makes it a good purchase even before you get to the bonus material. The bonus material is pretty impressive - over an hour of previously unreleased material. There are recordings of four soungs from rehearsals, three outtakes and a studio jam. The sound quality of all this material is excellent, and it's definitely stuff that the fans are going to be interested in. While some albums come with bonus material that gives you the impression that they're scraping the bottom of the barrel in terms of quality, the bonus material here is really good and is worth listening to again and again. Fans of The Allman Brothers are already going to know how good the album is, and will find the bonus material makes this well worth purchasing. 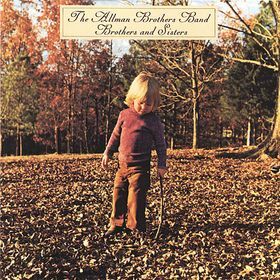 For rock fans who haven't listened to The Allman Brothers before then I'd certainly recommend the album - it's a great album with some great guitar work, and the full version of 'Jessica' is great - better than the short top gear version. Definitely an album that should be in the CD collection of all rock fans.